Many dairy products contain probiotics. There's a lot of buzz on product containers and among nutritionists about foods that contain probiotics, beneficial bacteria that live in the body and help people digest and process food properly. These bacteria are commonly found in dairy products such as yogurt, cottage cheese, and kefir, but they can also be in vegan products like kombucha, miso, tempeh, and sauerkraut. The term probiotic means "for life." Though many people think of all bacteria as being harmful, there are many bacteria that help keep our bodies running smoothly, and probiotics are included in that category. The most common probiotics that you may have heard of are Lactobacillus and Bifidobacterium. Each group has different strains and species, and different foods contain different strains in varying amounts. The Food and Agriculture Organization of the United Nations recognizes the benefits of probiotics on its Web site and notes that the bacteria are important in regular immunological, digestive, and respiratory functions that the body carries out. The FAO also cites research suggesting that probiotics can help relieve some disease symptoms. Some companies have latched on to the reports of the health benefits of probiotics and begun labeling their products as beneficial to digestive health because of the bacteria they contain. However, not all probiotics have been proven to be effective in improving and regulating health, so product labels can be misleading. If you want to make sure that you're purchasing foods that contain probiotics that are scientifically proven to be healthy, find the names of the probiotics on the products and search for scientific study results of those strains. There are two main categories of probiotic foods: dairy products and fermented foods. 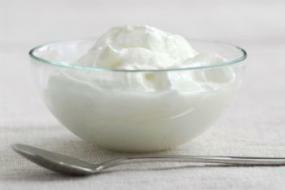 Yogurt - Yogurt is the most commonly known food product to contain probiotics. Choose yogurt that has "live and active cultures," meaning bacteria. Buying low-fat plain yogurt means you'll get the benefits of a protein-rich food and probiotics without added sugar or fat. Cottage cheese - Some varieties of cottage cheese are enriched or produced naturally with probiotics. 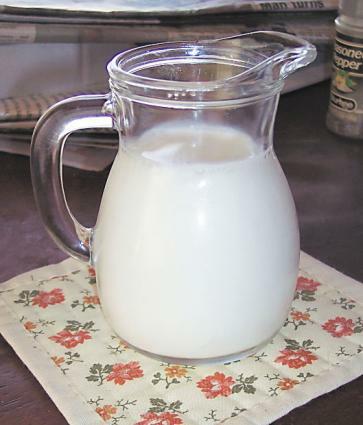 Kefir - Kefir is a fermented dairy drink that has a tangy taste and a consistency between milk and yogurt. Because of its natural sourness, kefir is often sweetened or combined with natural fruit flavors to make a smoothie-type drink. Buttermilk - Most commonly used in baking, buttermilk is a fermented milk drink with a sour taste. Its tanginess is due to the presence of lactic acid in the drink. Buttermilk tends to be a bit thicker and richer than plain milk. Sauerkraut - Sauerkraut is shredded cabbage that has been fermented with acid. It has a savory, tangy taste and is often served with sandwiches or meat dishes. The probiotics in sauerkraut come from the lactic acid bacteria that work in the fermentation process. Miso - A pasty Japanese seasoning, miso is a fermented product that's derived from barley, soy, or rice. The fungus working in the fermentation process is called Aspergillus oryzae. Though it's a completely vegetarian and vegan food, miso is high in protein. It's also a good source of many vitamins and minerals. Tempeh - Tempeh is a fermented soy cake. It can be used as a tofu substitute or called upon in dishes that require a chewier, meat-like texture. Because the whole soybean is retained in tempeh's fermentation process, it contains a lot of protein, fiber, and helpful vitamins as well as probiotics. Kombucha - Kombucha is a pungent fermented tea. It can be fermented with acid bacteria, fungi, or yeast. Some varieties of kombucha are sweetened to temper the flavor. Whether you need a vegetarian or a vegan probiotic, there are many choices. All can impart health benefits.